One of the biggest trends of 2017 is going to be destination weddings; travelling to a far-away place to tie the knot or bringing a taste of the exotic to a wedding. 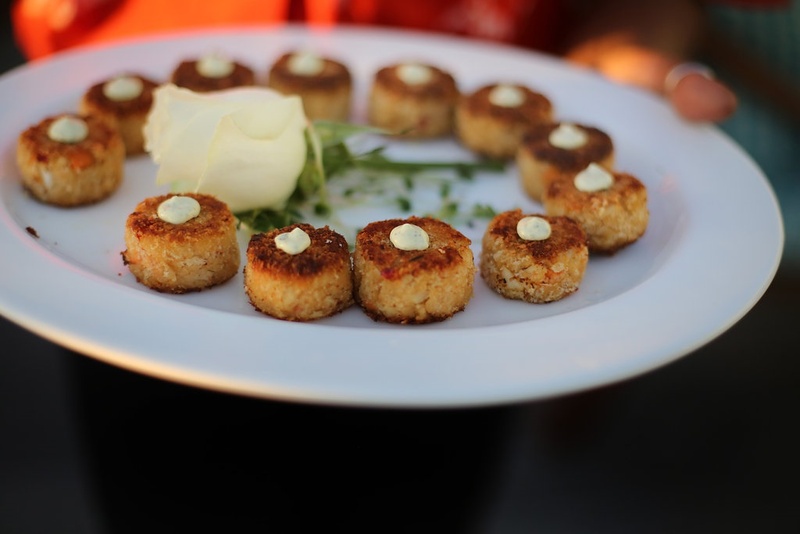 Creating an authentic Bahamas wedding is all about making the right menu choices for your wedding celebration. It’s important to get all the details right in order to create truly memorable wedding experience for everyone involved, complete with a lot of fun, food, and drink. If you’re a foodie and you’re heading to the Bahamas for a destination wedding you’ve made the right choice as creating incredible cuisine is part of the culture there. 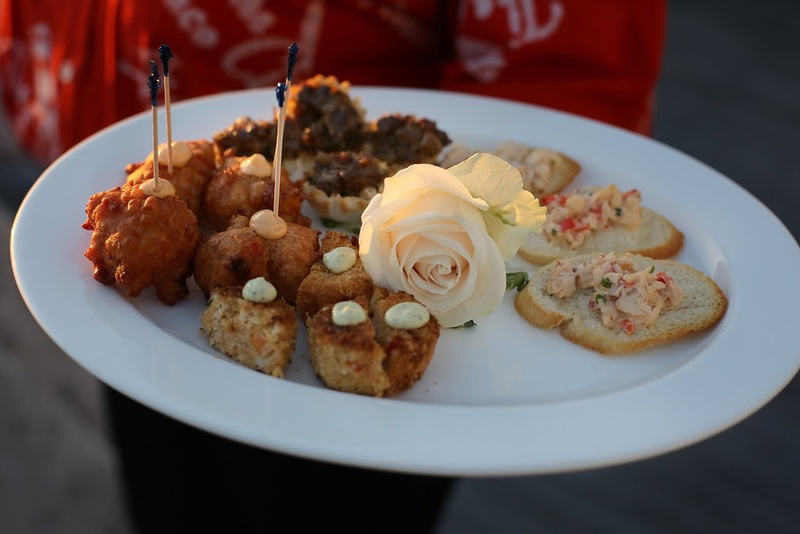 You need to make the islands a true part of your wedding experience by including the local cuisine. There are many different ideas to incorporate when it comes to creating authentic Bahamian cuisine. One of the top trends for authentic Bahamas weddings is a plated full-service dinner. This gives guests the chance to enjoy all of the delicacies on offer and they have become a major trend recently. Our absolute favorite trend would be a three course dinner created by one of the best chefs in the Bahamas and Caribbean, Tim Tibbits. Chef Tibbits is the executive chef and owner of the award winning restaurant Flying Fish in the Bahamas. Chelsea Erwin Photography captured these stunning images. Photo by Chelsea Erwin Photography. 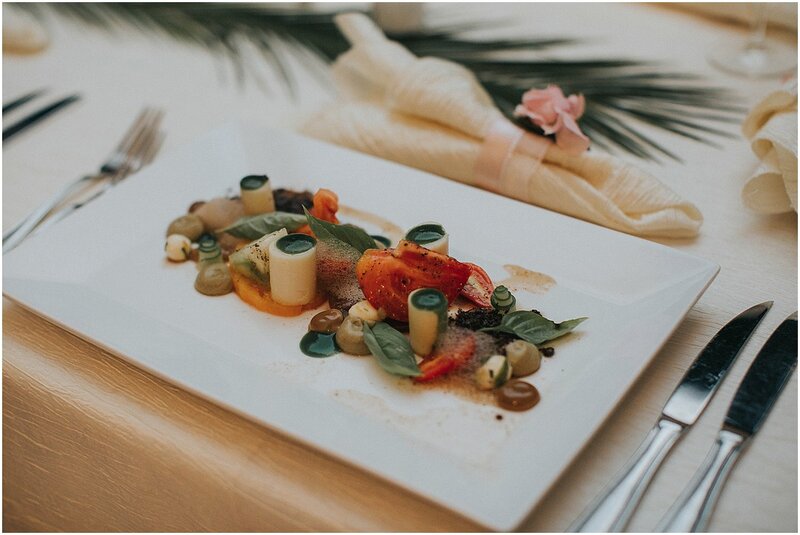 The first course includes a Tropical Caprese salad topped with hearts of palm, basil, avocado, olives, heirloom tomato and balsamic vinegar. 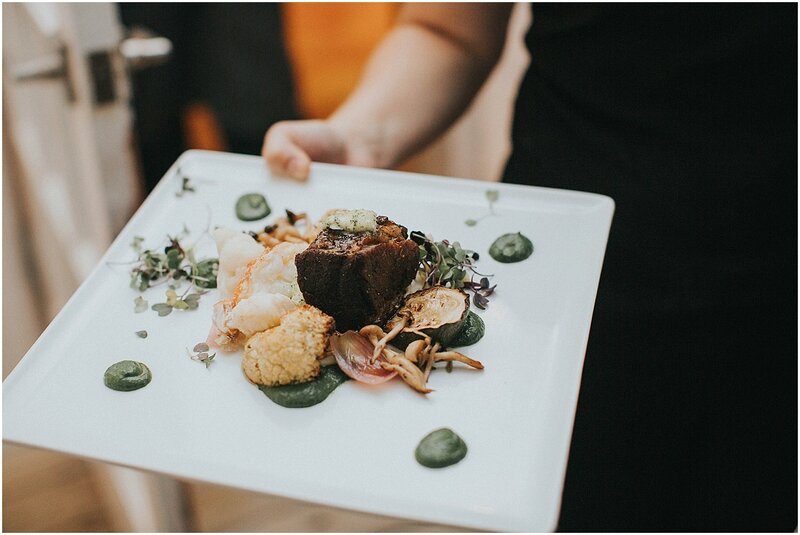 The main course is Chef Tibbits’ signature dish a 72 hour beef short rib, lobster, roasted mushrooms, pickled shallot, and cauliflower skordalia. Dessert mostly compromises of chocolate and coffee, featuring almond chocolate soil, flexible chocolate ganache, coffee mousse, amaretto cream, and cherry textures. The following menu, put together by Chef Dawson Frock, executive chef of the Abaco Club at Winding Bay in Abaco, is all about enjoying life and food to the fullest. Everything involved with this menu, from the Spiny Lobster, to the Conch and Grouper, are all staples of Bahamian cuisine and they are some of our absolute favorite foods. To plan your custom luxury authentic Bahamas wedding or event on any one of our islands … Abaco, South Andros, Exuma, Eleuthera or Grand Bahama – contact Chic Bahamas Weddings today. We’d love to help you!